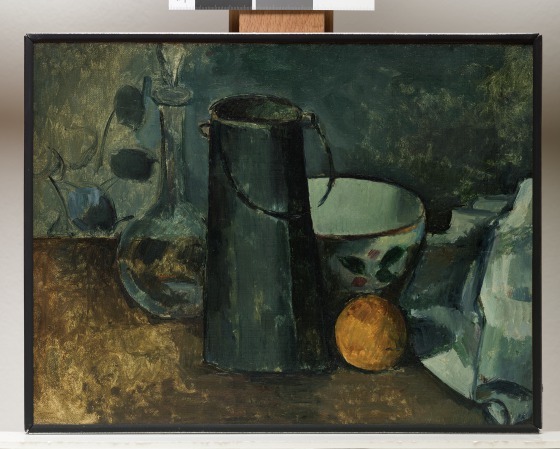 This still life belongs to Paul Cézanne's mature period. 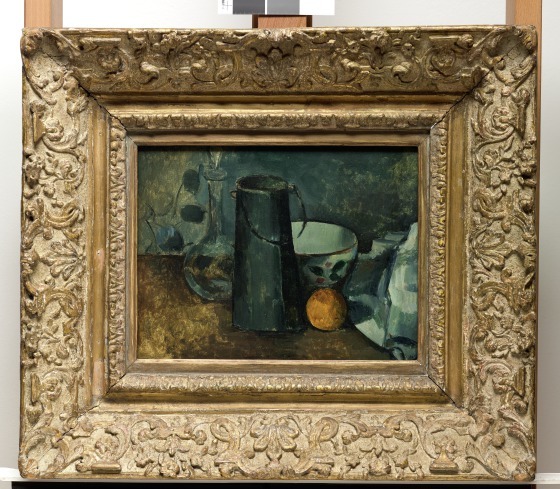 The same objects appear in six other paintings, most likely made in the little town of Melun, outside Paris, where Cézanne stayed for most of 1879 and into the first months of 1880. 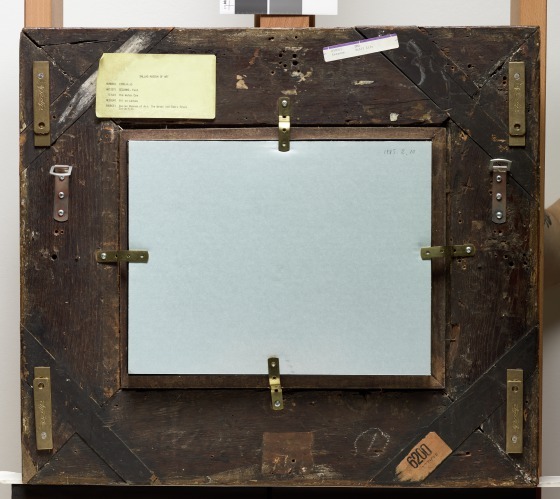 He masterfully represented the mix of objects with a restrained harmony in a simple and balanced composition. The subdued orange of the single fruit and the blue enamel of the milk can correspond perfectly with the bluish background. 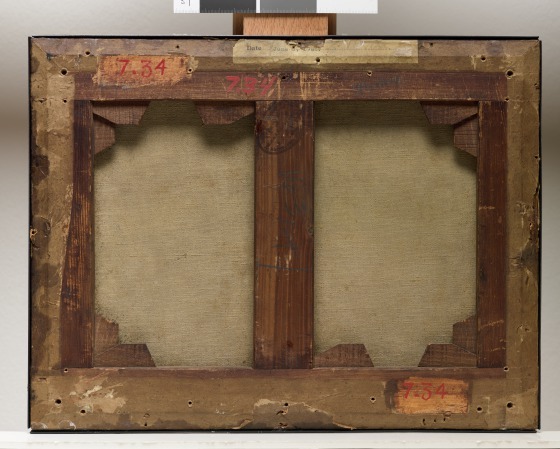 Before entering the Dallas Museum of Art's Reves Collection in 1985, the painting had belonged first to Marius de Zayas, a dealer who worked closely with Alfred Stieglitz, and then to Lillie P. Bliss, one of the founders of the Museum of Modern Art, New York. Bonnie Pitman, ed., "Still Life with Carafe, Milk Can, Bowl, and Orange," in Dallas Museum of Art: A Guide to the Collection (New Haven, CT: Yale University Press, 2012), 193. 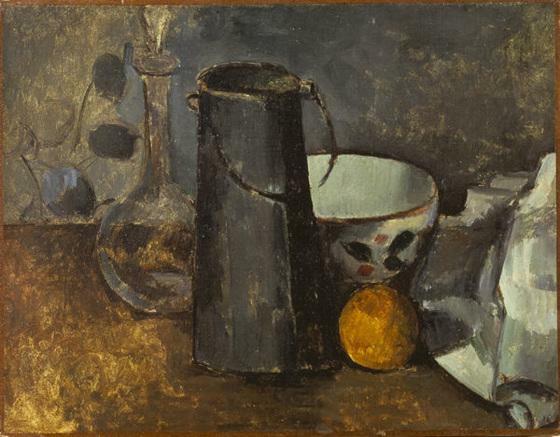 Paul Cézanne made this painting along with a group of three other closely related still lifes (L'Orangerie, Paris; Hermitage, St. Petersburg; Cincinnati Art Museum). All four were done in the same room with the same still-life elements at the same moment in the artist's career. 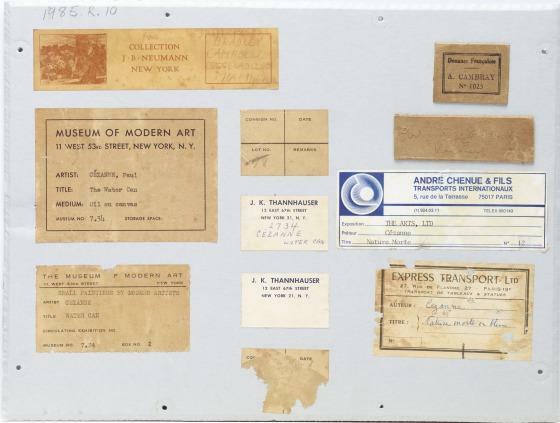 Most of these paintings are small, and all of them include one or more of the three vessels that form the motif of the Dallas Museum of Art's still life. Read a biography of Paul Cézanne. 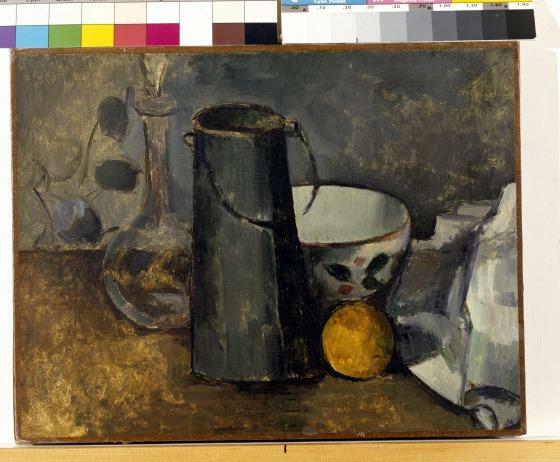 Learn more about Cézanne's still lifes from MOMA Learning. 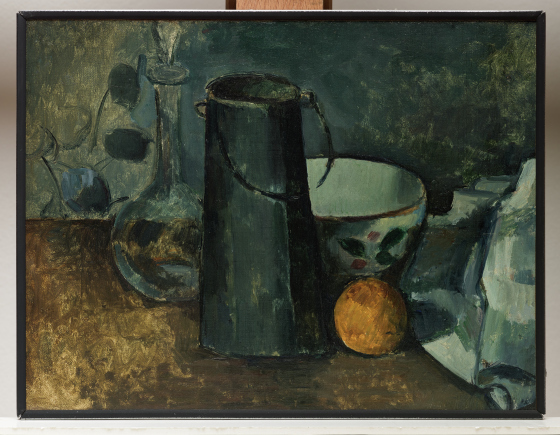 Watch this video about a Cézanne still life. Learn more about the life and work of Paul Cézanne.